Do you provide a professional image when customers call your business? Are you providing information to customers when you place them on hold? 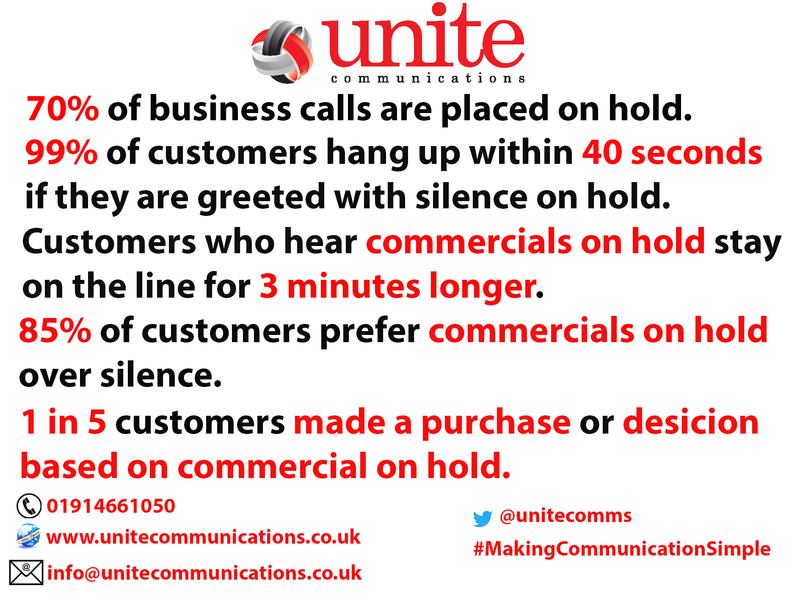 The impression your customers receives when they call your business is the one they remember, Unite Communications can help to provide the image you need and help to drive sales at the same time. Our professional information messages are developed to work with all types of telephone system and provide customers with information about your services when they call your business. The messages can be used to professionally greet your clients using auto attendant features or provide specific information on your business and products when customers are placed on hold. Why not log onto our site at www.mohsamples.com and design the message for your company?